There are literally thousands of Alabama Surety Bonds required by various industries and states. Our Bond Experts helps you shift through the myriad of surety bonds that meets your exact needs. There are various bonds which are required at Alabama State Level for various regulatory purposes. Many of businesses in Alabama are required to even submit these Surety Bonds even before allowed to work on their business or contract. Do you need a bond for your construction project? Or do you may need a Permit Bond for a project in Alabama? 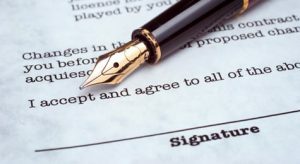 We deals in all types of Surety Bonds in Alabama. There are various types of surety bonds (including Commercial Bonds, Contract Bonds, Court Bonds, License & Permit Bonds etc) we offer for businesses in Alabama. Please provide few details and give a jump start to your operations. Not looking for Alabama Surety Bond?